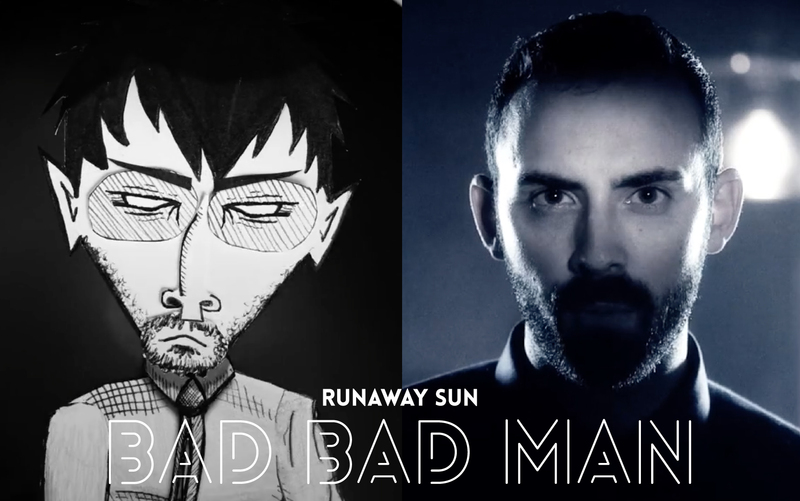 Rivet announces the release of Runaway Sun’s Bad Bad Man music video. As Creative Director and Director, Lynn Birdwell created a landscape that allows for visual cues in the live action that find their way in and out of Brandon Ray’s paper animation. The music and the imagery are a perfect, haunting combination. Born out of lead singer Andrew Karnavas’ love for antihero stories, Bad Bad Man follows a man hollowed out by the murder of his wife on their wedding day. Bad Bad Man is a mix of performance video, punctuated by beautiful shadowed imagery of a shrine to his wife. And it’s all glued together with some very unique paper animation by award-winning Houston animator Brandon Ray. The story comes to life in that animation. In a walking arc of fury and grief, our Bad Bad Man, now a paper figure in a surprisingly dimensional paper world, tracks down and eliminates his wife’s killers. 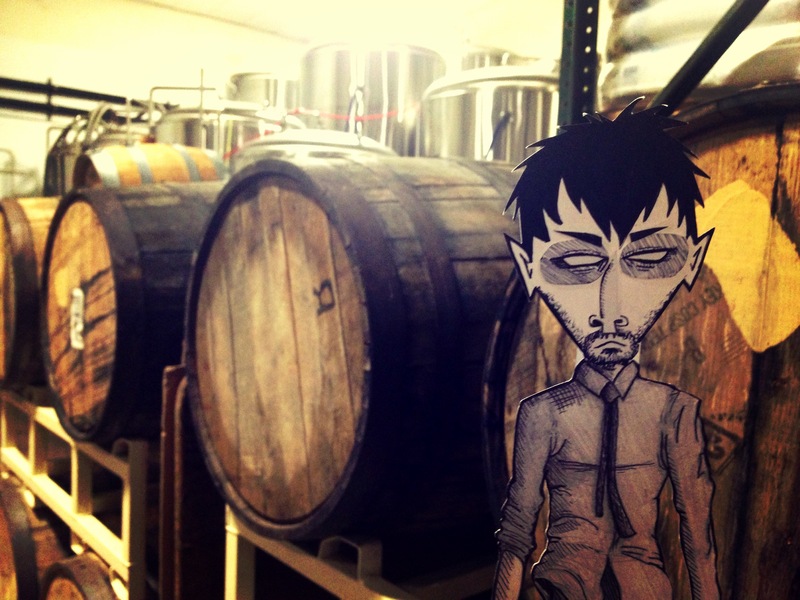 The video smartly uses the animation to take the edge off of a nasty, bloody business. But that edge returns every time the animation cuts back to Karnavas, staring us down. The Bad Bad Man is on a search for his wife’s killer. Print out the “Cut-N-Play” Bad Bad Man and take photos of him on his search. Upload the pictures and tag #badbadman to share his journey. In Runaway Sun’s new music video, “Bad Bad Man”, Director Lynn Birdwell explores the dark side that lives within every soul. “It’s a story about a man and how he responds to the tragic murder of his wife,” explained Birdwell. The haunting, prophetic lyrics, written by Runaway Sun lead singer, Andrew Karnavas, take us on ominous journey of death and self-confession. “He’s a man in crisis, overwhelmed by grief and anger, who seeks revenge and eventually gets what he is after,” Birdwell added. The video is a compilation of monochromatic performance footage and stark, black & white paper animation gently interspersed with the softly lit, color imagery of a Day of the Dead ofrenda. We follow the animated “bad man” throughout the video as he relentlessly pursues and disperses his wife’s killers. As the kills increase so does his burning obsession, literally and metaphorically. “We chose to render the storyline in animation to accentuate the intense rage and sorrow that our bad man is feeling,” said Birdwell. 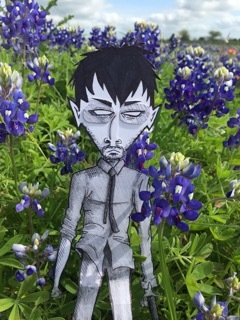 “Also, the animation, created by Houston animator, Brandon Ray, gave us a different, surreal texture to weave into our video tapestry.” “The altar scenes are all very subtle,” Birdwell added. “The ofrenda is a collection of photos, a necklace and remembrances of the slain woman’s marriage lit by candles that illuminate their love and desire.” Midway through the story, the music abruptly shifts to a lighter, more sensitive tone as the husband confesses, “My hat wasn’t always this black. It was white like my wife’s wedding dress,” helping us to realize the enormity of his transformation. “I’d love for people to get lost in the mystery of the storyteller’s situation; the depth of feeling and insufferable loss that comes with losing the person you’ve become one with in marriage.” Birdwell explained. In the final scenes, our animated characters come into the real world of the ofrenda as a fire burns in front of the woman’s photo. She sees herself avenged as the bad man looks on with the fathomless eyes of someone who has seen more than a person should ever see. Whether he really killed these men or whether he has dreamed the executions in a continual walking nightmare of grief, we don’t know. All we do know is she is never, ever coming back. And neither is he.